Accredited qualifications, also known as regulated qualifications are those that are reviewed, recognised and monitored by the regulatory bodies in order to make sure that they meet specific criteria and quality standards. The requirements for the qualifications to be accredited are set out in the Regulatory arrangements for the Qualifications and Credit Framework. Once proposed qualifications meet the requirements set out in the mentioned document, they are listed in the Register of Regulated Qualifications where can also be found a list of recognised awarding organisations who have the power to award qualifications within the Qualifications and Credit Framework (QCF), the national credit transfer system in England, Wales and Ireland. Scotland has its own framework – the Scottish Credit and Qualifications Framework which is jointly regulated by several awarding and regulatory bodies. 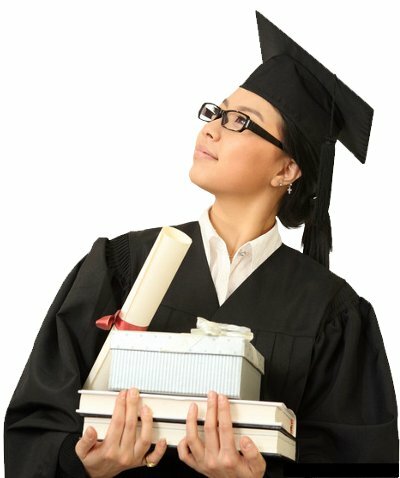 What are the Advantages of Accredited over Non-Accredited Qualifications? The most obvious advantage of accredited over non-accredited qualifications is that the accredited ones provide the learners and stakeholders with a guarantee of quality of both the qualification programme and the awarding body that offers accredited qualifications. Non-accredited qualifications, on the other hand, are not regulated and there is no guarantee that they meet appropriate standards. There is no way to tell whether they are fit for their purpose, if they include relevant content or if appropriate methodology for assessment is used. Sometimes, however, the courses that are offered by non-recognised organisations may lead to a recognised qualification. Which Types of Qualifications are Accredited by Regulatory Bodies? The regulatory bodies are responsible for accreditation of a wide range of qualifications ranging from Entry Level Qualifications to the Higher Level Qualifications (Level 4 in the QCF or above) including vocational and work-related qualifications. Who are the Regulatory Bodies? There are four main regulatory bodies in the UK who recognise awarding organisations and their qualifications. The Office of Qualifications and Examinations Regulation (Ofqual) regulates qualifications in England and vocational qualifications in Northern Ireland, the Department for Children, Education, Lifelong Learning and Skills (DCELLS) is Wales’ qualifications regulator, the Council for the Curriculum, Examinations and Assessment (CCEA) regulates qualifications with the exception of vocational in Northern Ireland, while the Scottish Qualifications Authority (SQA) regulates and awards all qualifications except of degrees in Scotland. How the Regulators Ensure High Quality of Accredited Qualifications and their Compliance to Appropriate Standards? The regulars use several methods to ensure high quality of accredited qualifications before and after they are listed in the Register of Regulated Qualifications. In order to be recognised and have their qualifications accredited by the regulators, the awarding organisations have to submit their proposition to the regulator which then carefully reviews both the awarding organisation and the proposed qualification. If the qualification programme meets the regulator’s criteria, it is recognised and listed in the Register. If they do not meet the set criteria, they are rejected. In order to make sure that the accredited qualifications maintain appropriate standards and quality, they are kept under review by the regulators who also have the power to withdraw accreditation.